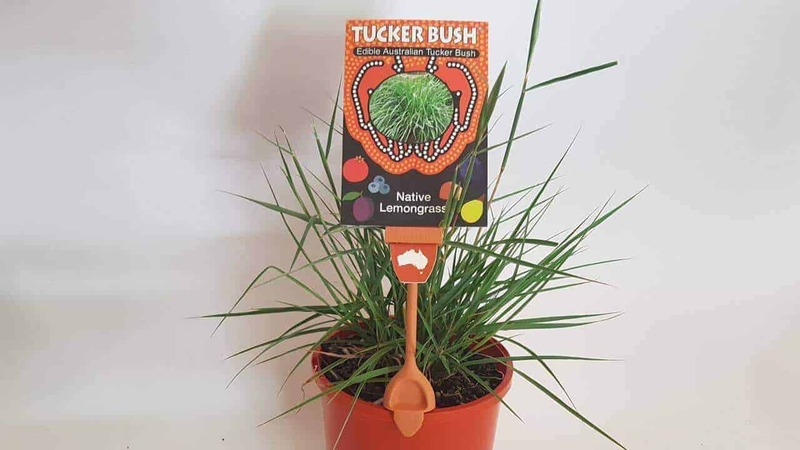 Native Lemongrass is an aromatic grass, with a strong citrus odour, traditionally used by the Aboriginal people to treat flu symptoms, chest infections and skin sores. It is one of 1,300 different types of Australian grasses and very adaptable to a variety of soils. This plant is found widely throughout Australia except in the cool temperate regions. The stalks and leaves may be used in tea or as a fragrant flavouring ingredient in soups, curries, sauces, marinades and cakes. Their essential oils may be found in a variety of skincare and beauty products like shampoos, soaps, scrubs and moisturisers. As a medical herb, the leaves and roots of the Native Lemongrass can be combined with hot water as a steam inhalation remedy for colds and chest congestion. They may also be rubbed on the body to help treat aches, pains and skin sores. Recent research from Griffith University in New South Wales has confirmed that Native Lemongrass is comparable to aspirin in its effectiveness at treating headaches and inflammation. Native Lemongrass may be harvested when it’s about 30cm tall. Cut leaves and use as needed, or freeze to keep fresh for later. Individual leaves may also be chopped and dried for use as a cooking herb. This plant is extremely drought-hardy and frost tolerant – easy to care for in a home garden. Though it doesn’t mind dry weather, it grows and looks best when given regular water. Native Lemongrass will flower in its first year if planted in the Spring, producing wispy seed heads. Expect growth to about 90cm high and wide in a typical backyard, or smaller if your plant is grown in a pot. This plant is a popular choice for ground cover, gap filling, rockeries or mass plantings in areas of the garden that are hard to water. How often can I harvest my Native Lemongrass? Native Lemongrass may be harvested throughout the year, though you may wish to take a break in Spring to allow time for regrowth. 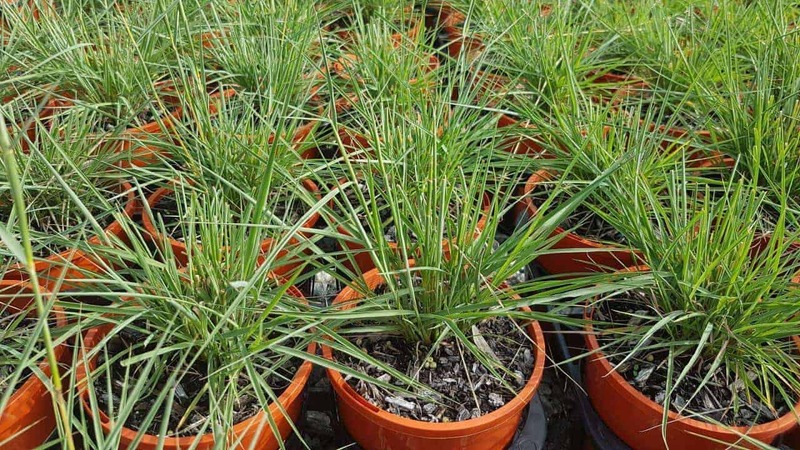 What pests and disease affect Native Lemongrass? This plant is afflicted by few ailments. You are unlikely to encounter pest and disease infestations in a typical home garden setting. 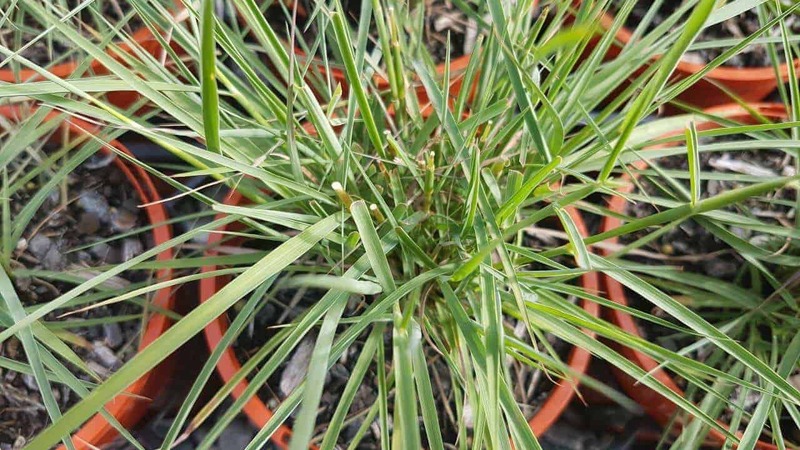 How often should I water my Native Lemongrass? It’s true this species is drought-tolerant, adapted to the desert conditions of Central Australia, which means you can get away with forgetting to water once in a while. However, for best results, both in growth speed and appearance, aim to water generously once a week in Summer.